Each one-day class will feature one technique. Take one or take them all. All classes are $109 each and include almost everything you need. Learn the basics of needle-turn applique. Cheryl will teach you the fine points of hand quilting. Come learn the basics of this age old art. 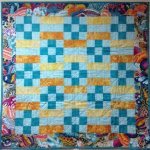 In this six week course you will learn the basics of quilting. You will end up with a wallhanging or tabletopper. Come learn how to do wool applique. You choose your favorite pattern. After the beginning class, join Karen for a monthly get-together and continue with your project. Those who took Jacqueline's class come on work on their quilts. A must is a sign-up . 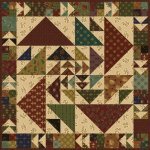 Get ready for the holidays early with this fun, fast quilt as you go bargello tablerunner. Come and finish up your Judy project. Get Ann's expert advice. Using the book by Kathleen Tracy, Small & Scrappy. Quick and easy. You can do one a month. 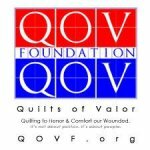 This class is for Beginners who want to start that second quilt. Introduction and orientation to Free Motion Ruler works. Continue practice different rulers based on what we learned in Ruler Works 101/Orientation. This is by reservation only. Come work on your projects, if you need help there are willing friends to assist. Come & work on your wool project. Get expert help from Karen.